Posted Thursday, January 14th, 2016 by Robyn Warner. Let it snow, let it snow, let it snow! Then again, maybe not. Snow is one of those things that many of us want until we actually get it. Then we want it to be gone, gone, gone. In any case, ’tis the season for the white stuff. If you have actual snow, it may interest you to know how it’s formed. The life of a snowflake begins high in the earth’s atmosphere. Whether a potential snowflake becomes sleet, freezing rain, or a blizzard depends on temperature, humidity, and water vapor encountered during its fall to earth. The perfect combination of all three factors is required to form the type of snow that’s perfect for making a snowman, snow ball, or snow fort. When you are blessed with real snow, there are a variety of ways to celebrate. You could make DIY snow paint and design a masterpiece in the front yard. You could be more traditional and make snow prints or snow angels. 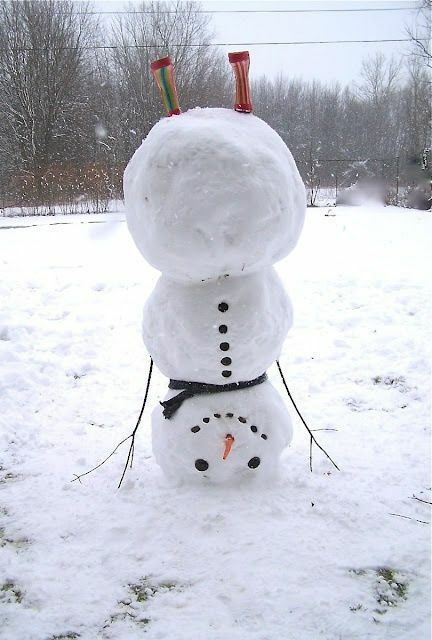 Or you could be silly and make snowmen that will attract the attention of the passerby. Here are ten more activities to do in the snow. Have fun, and make sure to bundle up! Shut the Front Door for Fall! Posted Thursday, September 24th, 2015 by Greg Gladman. Crisp, clean air. Cool nights. The crunch of fallen leaves under foot. 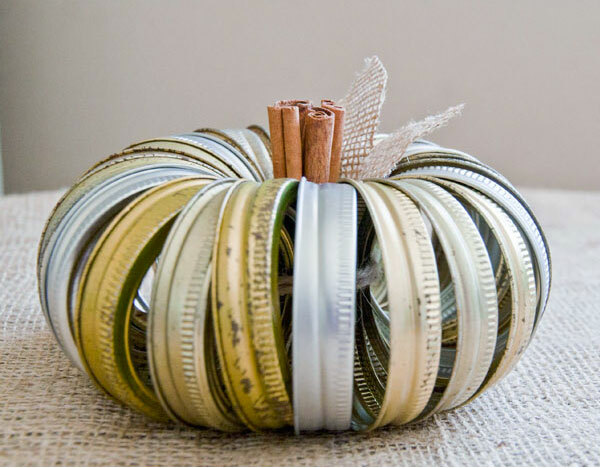 All clues that fall is well on its way, and that it’s time to decorate! What better place to start than your front door? If money is tight, despair not. 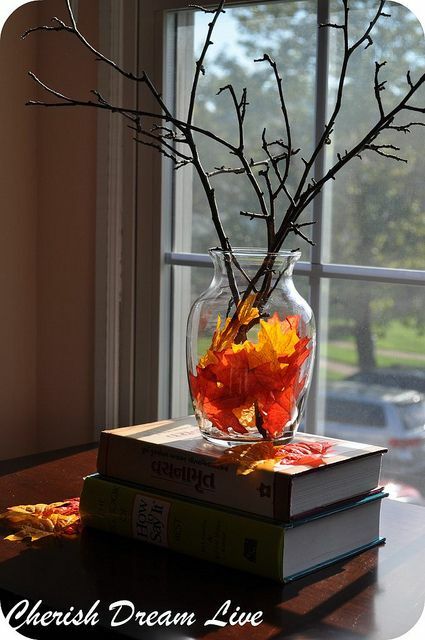 You can still create a warm autumn welcome. If you have construction paper, for instance, you can make a wreath out of overlapping red, yellow, and brown paper cut into leaves. Tape it to the front door and you’ll be all set. 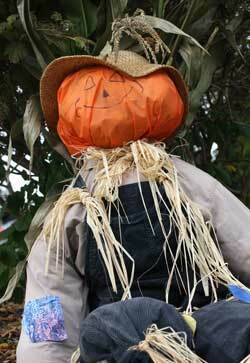 Or why not rake the yard and stuff the leaves inside a scarecrow made from clothing in your closet? Straw is optional! Posted Thursday, January 15th, 2015 by Robyn Warner. Did you make a New Year’s resolution for 2015? If you are like many people, you probably vowed to improve your life or the lives of others. Top resolutions include things like losing weight or quitting smoking, of course, but many also revolve around saving money. If you have gone with spending less and saving more, there are a variety of ways you can save a penny here or there. One particularly great solution is to take advantage of all the DIY projects available right at your fingertips. No worries if you aren’t crafty, as many projects are perfect for novices. And if you haven’t made a resolution, here is a list of 50 suggestions to inspire you toward self-improvement. Think designer light switch plates! 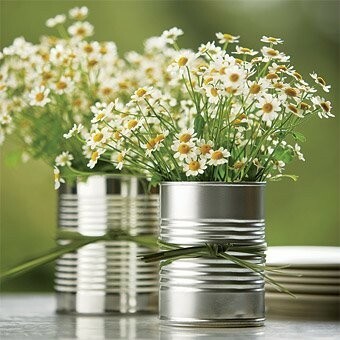 These simple creations are easy to make, cost next to nothing, and add flair to any room. All you need is paper or duct tape, mod podge, and a paint brush. Here are directions. Posted Thursday, November 20th, 2014 by Robyn Warner. Decorating for Halloween, Thanksgiving, and then Christmas can be time-consuming and expensive. Save both with some great tips that we’ve put together for you. With a little prep work, you can make your Thanksgiving décor something the guests will be talking about long after the feast’s over. Posted Thursday, November 6th, 2014 by Greg Gladman. Lifehacks. Those simple tricks geared toward making life easier. Some are probably so ingrained into your daily life that you do not even think about them anymore. Some are still out there, waiting to be discovered. With the holiday season right around the corner, here are ten simple solutions to make your travels less stressful. Posted Monday, October 27th, 2014 by Robyn Warner. It’s 8pm on Halloween night and you didn’t buy a costume. You look around the house and all you have is paper. Perfect! Here are our favorite Halloween costumes that incorporate paper. Hopefully they inspire you (and save you from being a hobo again). Lightweight and less confining than traditional masks, these paper masks are really impressive and relatively easy to make. Download a template as a PDF, print it out on card paper, fold, and glue. Paint them for added wow factor. 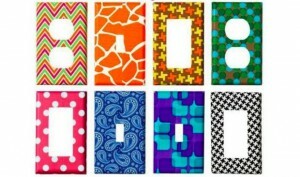 Check out all designs. Posted Thursday, October 23rd, 2014 by Robyn Warner. Nothing is more magical than All Hallows Eve, the night when kids and adults alike transform themselves into magical creatures. 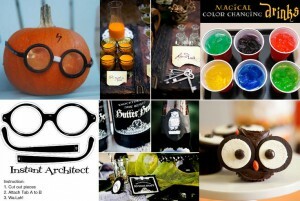 Of course, magic reminds us of wizard school, which means we love this idea of a Harry Potter Halloween party. Here are 100 Harry Potter Halloween party ideas from House of Paint. Posted Thursday, October 16th, 2014 by Greg Gladman. You still have a couple weeks until Halloween, which means you still have time to put together something people will talk about for years to come. Here are five of our favorite technology-minded Halloween costumes. 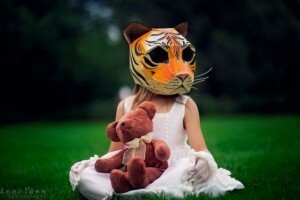 These clever t-shirts and masks incorporate any size of mobile device for a quick and unsettling effect. Just slip in your phone and party on! Posted Thursday, October 9th, 2014 by Robyn Warner. It’s easy to pass for a professional photographer this time of year. The colors are vibrant and beauty is everywhere, whether it’s bluer than blue skies or curves of a pumpkin stem. Get artfully inspired by nature. Posted Thursday, September 11th, 2014 by Greg Gladman. Have you found your own unique decorating style for your abode? If you are like most, you’ve combined a bit of several different things you love – something old, something new, something borrowed and probably something blue too. The old saying might apply to more than just your wedding day. Whatever your style of décor, you will take the most pride in handmade design elements. Whether they work well together or not is another matter, but check out a few of these ideas and get started making your living space cozy and unique.